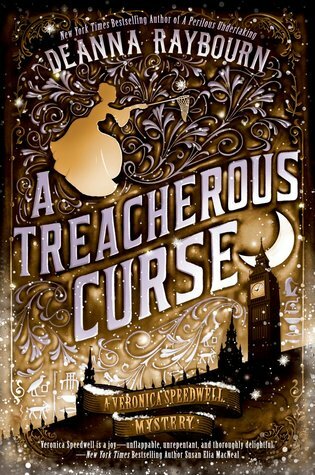 This is the third book in the Veronica Speedwell series and I am delighted to share my review. We learned more about Stroker, her partner. A pass colleague has returned to England from an Egyptian expedition and has disappeared. Since Stroker is known to dislike him, it is fear that his past will examine in the papers and bring to light his connection with Veronica. Veronica feels she must explore his connection to this colleague and his wife. Will Veronica find the answer before her past becomes fodder for the tabloid press? I highly recommend this book and series. Disclosure: I received a free copy from Berkley Publishing through NetGalley for an honest review.I would like to thank them for this opportunity to read and review this book. The opinions expressed are my own. This entry was posted in #NetGalley, Books, Uncategorized and tagged Deanna Raybourn, disappearing room, Egypt, Favorite, Historical mystery, Stroker, Veronica. Bookmark the permalink. Glad you like this series so much. I would read the earlier books first. It will mean more to you.